Sand dunes in the horizon, oyster boats maneuvering up and down the inlet, cattle grazing in the fields beyond red sand beaches is the setting in Freeland, a small, picturesque village in rural Prince Edward Island, where Holly grew up. Educated at the University of Ottawa, Holly achieved a degree in Political Science and Public Policy Management. Working in this field with such notable politicians as the Honourable Lloyd Axworthy, the Honourable Eugene Whelan, and various members of David Peterson's provincial government, Holly learned the benefit of hard work and caring about people. She also recognized the need to build strong community bonds, which she has carried through to her real estate career. Following her political career, Holly came to Kingston to work in the insurance and financial services industry. Kingston is, for Holly, not unlike her childhood home, Prince Edward Island. Now, she says, "It would be hard to imagine living anywhere else. After living here for any length of time one falls in love with the people, the surroundings and the lifestyle." 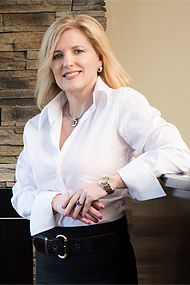 Holly first joined real estate sales in 1997, securing a partnership with Luca Andolfatto, then an 8-year veteran in the industry. Fortunate to have a valued mentor laying the foundation for her success, she became a leader in advocating for her clients and becoming a skilled negotiator. In 2005, Holly and Luca’s REAL ESTATE "TEAM" was ranked 56th in all of Canada, and in 2008 ranked 100th. Holly demands the highest standards of herself, working to provide both buyers and sellers the best service in the industry. She leverages her deep knowledge of the market to match people with homes they’ll love, and puts people at ease in any and every financial bracket. New clients are treated like friends, and Holly enjoys the many friendships that have grown over the years from initial client/agent contracts. When people become Holly’s clients, they stay. This isn’t a surprise: Holly attributes her success as an agent to her respect for others and her commitment to the community in which she lives. And her dedication shows: achieving award-winning recognition in her first full year at real estate sales, Holly has had award-winning years every year since then. She has been honoured to become a member of RE/MAX's Hall of Fame, RE/MAX Platinum and Chairman's Club award levels, and a recipient of the Lifetime Achievement Award. Continuing to receive recognition from her clients, her peers, and RE/MAX as a leader in the industry, Holly has now taken her career to the next level. 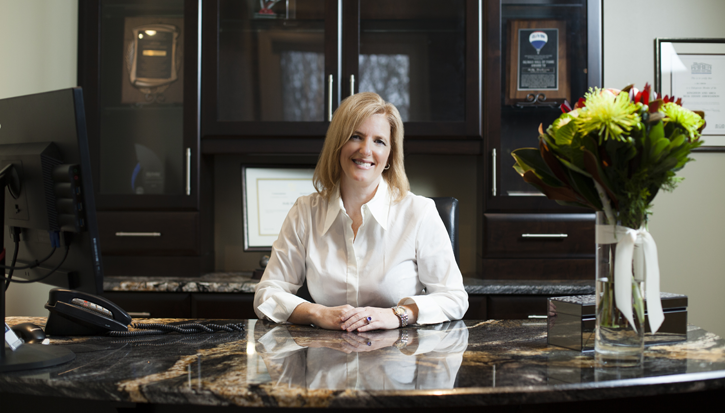 While still continuing on in real estate sales, she now takes a leading role in the industry by purchasing her own RE/MAX franchise: RE/MAX Service First Realty Inc., a name she chose to reflect her ongoing commitment to providing top-quality service to her clients. She notes that RE/MAX encourages innovation and gives you a great amount of freedom to operate your business, whether as a Sales Associate or a Franchise owner, while at the same time offering solid corporate support. Holly knows there is much more to real estate sales than marketing and selling properties: what counts are the people, agents as well as clients. If you are a Buyer or a Seller that appreciates a service-oriented Realtor, or a Realtor who wants to work for a Brokerage that insists on clients being treated to the proven best practices in the industry, RE/MAX Service Realty Inc. is where you want to be. Welcome – we look forward to hearing from you!